A huge series and this is the first book in this. After reading this I feel very irritated. 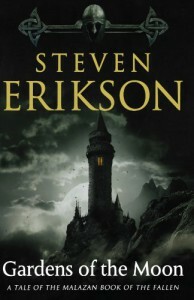 Mr Erickson tried his very best to make it a memorable book but he failed badly in doing so. It is not the foundation that I want from first book in an “Epic” series. It was worse than The Black Prism. Atleast magic system, characters and world creation in that book are well explained. He has created a very enthralling world full of magic, assassins and supernatural creatures but described it in equally flat way. As it is an epic fantasy I've expected a very concrete magic system but the magic system here is mentioned without any explanation as if it is a very common thing for all the people who are reading to understand it. 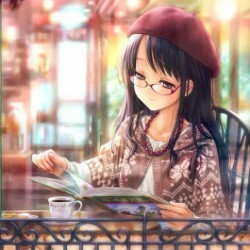 So many characters popped out of nowhere that sometimes it is so difficult to keep account of everyone. And their relation to each other is very incoherent. Erickson even did not care to tell us something about their past. there is no depth to them. There are some characters to whom he has given huge importance without telling us a single thing about them. Then there are Gods who are scared of humans. Even their function is not well explained. Ecrikson’s writing is so very confusing and transition of POV from one character to the other is miserable. A total confusion!! !